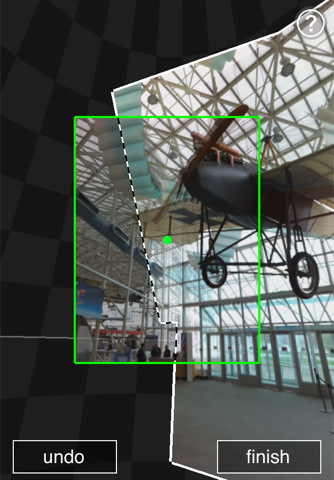 Microsoft’s new Photosynth app is all kinds of awesome. It allows you to create an amazing 360 degree panorama using shots taken from your camera, if your camera is on an iOS device. It’s hard to argue with the large iOS audience, but we’re just a tad bit surprised that Microsoft chose not to do a joint release with WP7. It’s not clear when the WP7 app will be made available. The app allows you to save the resulting image, share it on Facebook or Microsoft’s Photosynth website. It also allows tagging in Bing Maps. All good stuff, that would be even better if available on Windows Phone 7. I really don’t get why MS is doing this to themselves. Why are people who have Windows Phones getting applications after Apple!?!? That’s one way to drive business to another platform… great planning there. Exactly, that’s the same thing as if they would release their exclusive Xbox titles on Playstation first. Basically, this is MS teams other than the MS WP7 team saying they don’t have faith in WP7 … that iPhone is where the smartphone action is at and going to be.